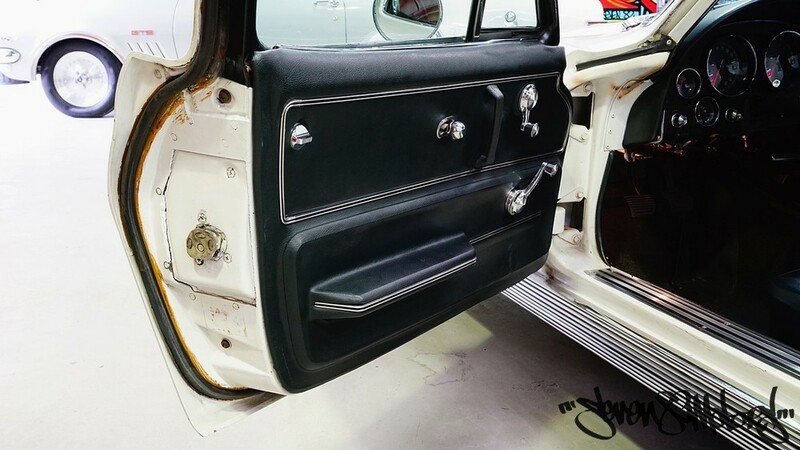 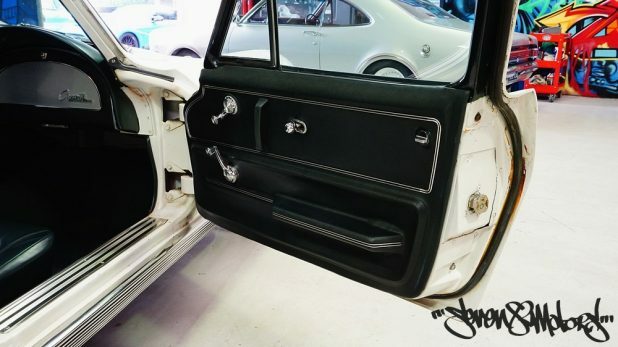 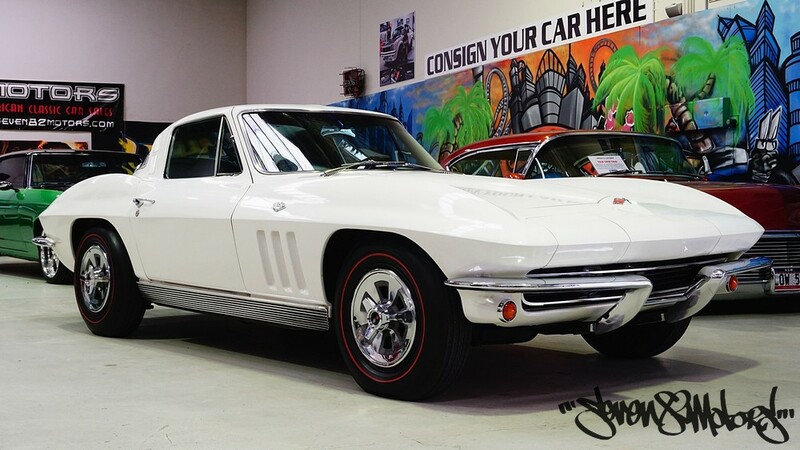 Unrestored and all original! 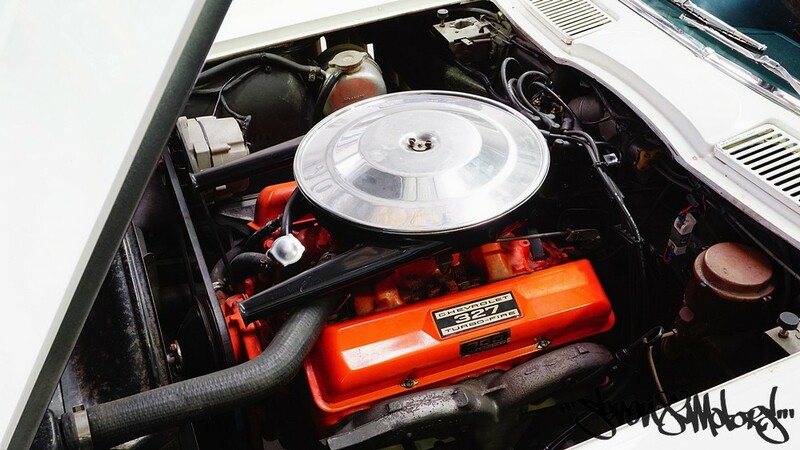 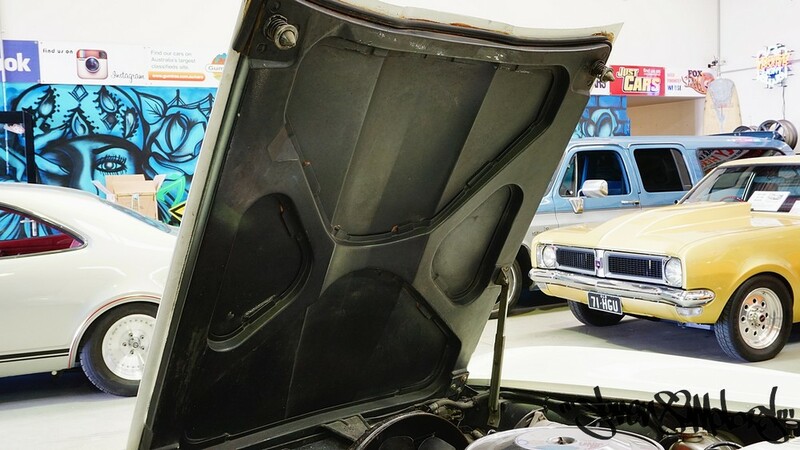 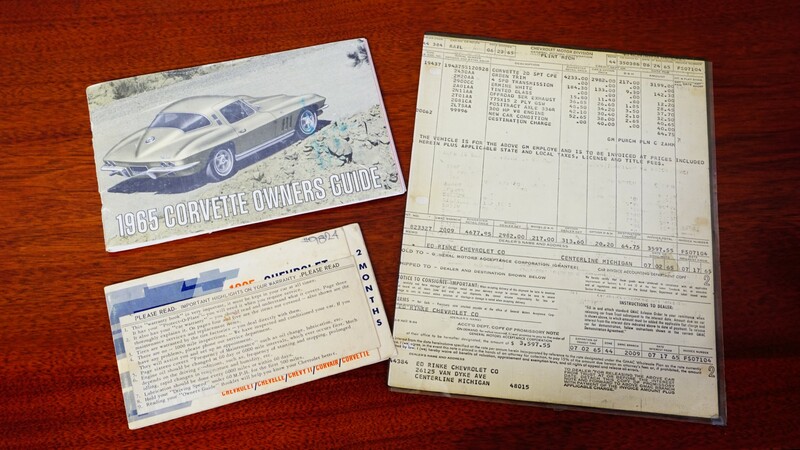 Purchased new by GM employee in Detroit in 1965 and noted on the original build sheet that accompanies the sale. 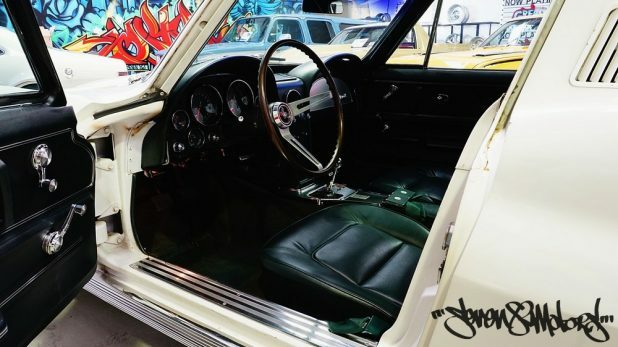 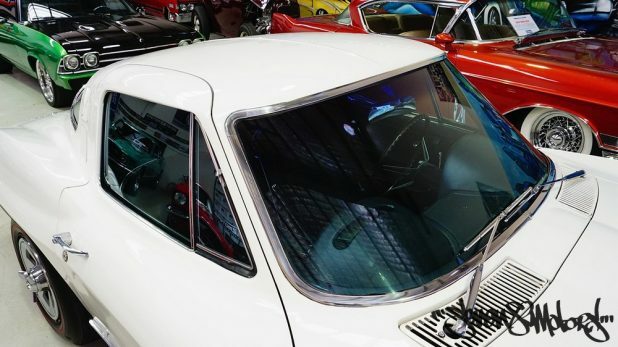 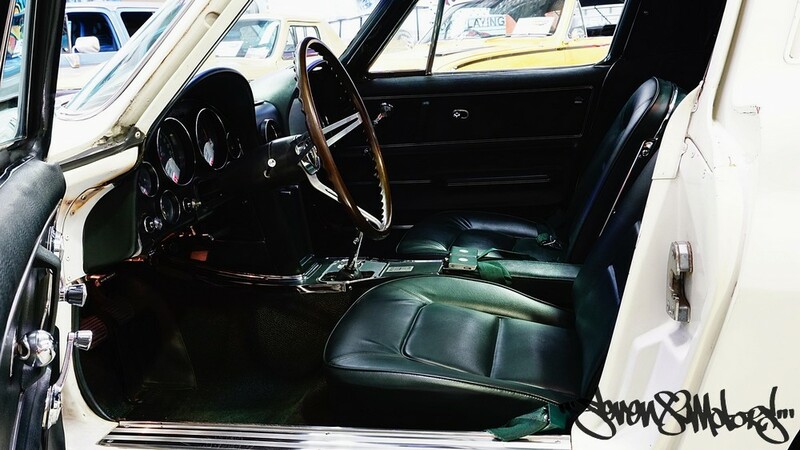 Ordered as a 300hp 327 small block and Muncie 4 speed manual trans with posi traction rear end and 4 wheel disc brakes, still in it’s original Ermine white duco and original and perfect Dark Green trim with tinted glass. 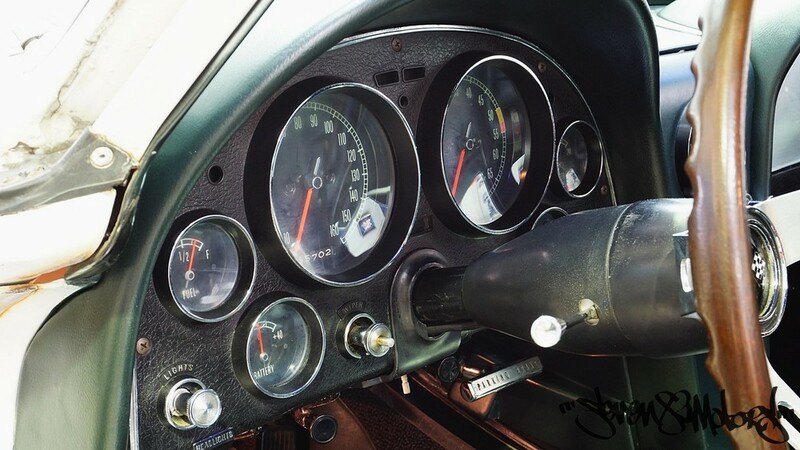 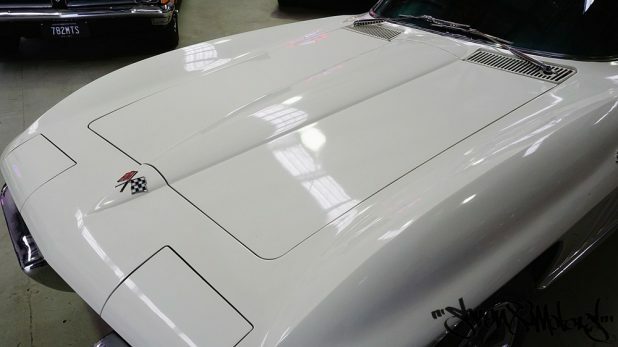 This car is a 100% original survivor with a genuine 65,702 miles and only had it’s tyers replaced and it’s general maintenance over the years… original sales books, owner protection plan with potecto plate, owner guide booklet, built sheet, original title from importation by the current and second owner in 2006. 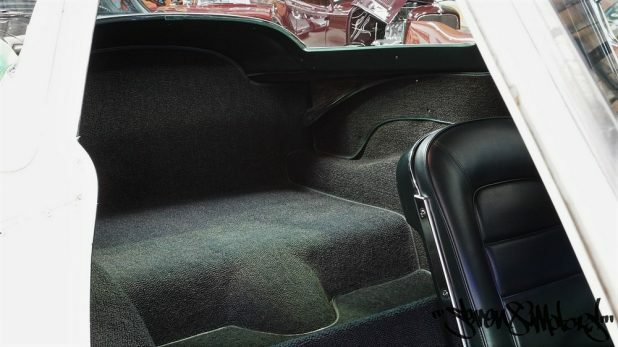 Where do you find them like this? 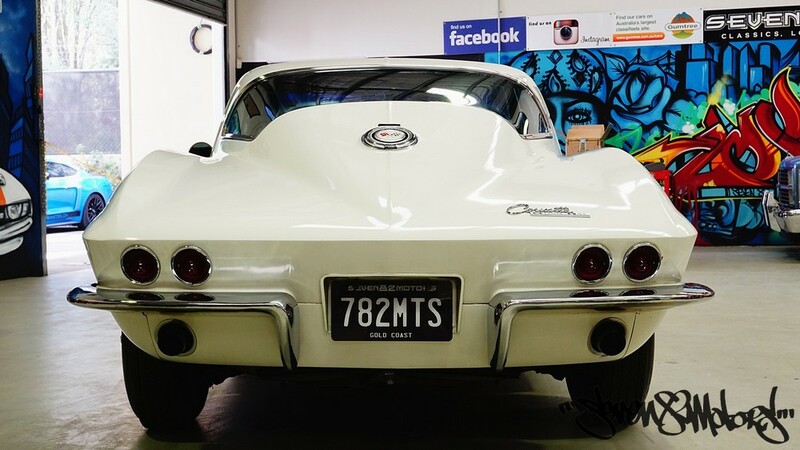 A badarse and awesome Corvette with amazing history and just survived all these years without being messed with. 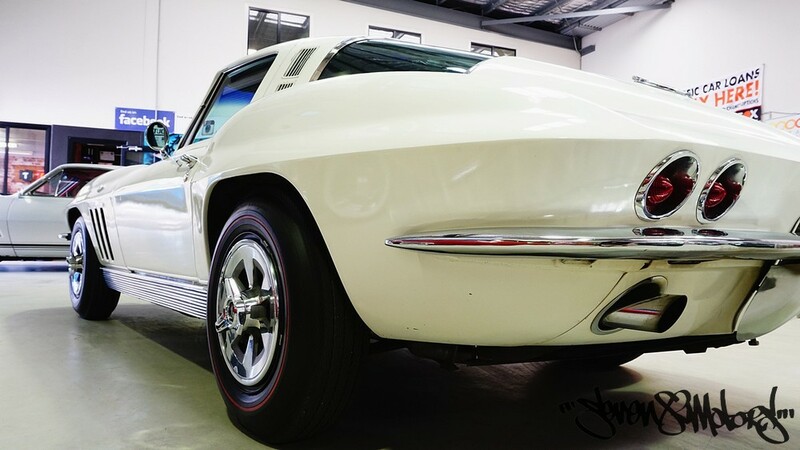 A well-maintained car and currently on full NSW rego and is super reliable, can drive anywhere. 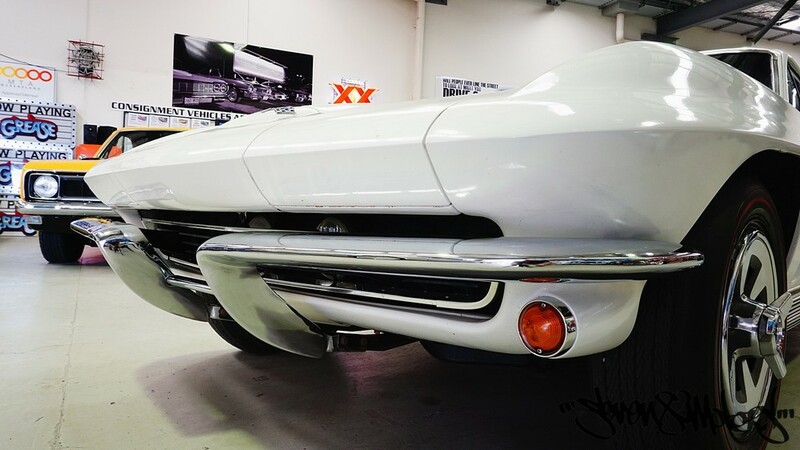 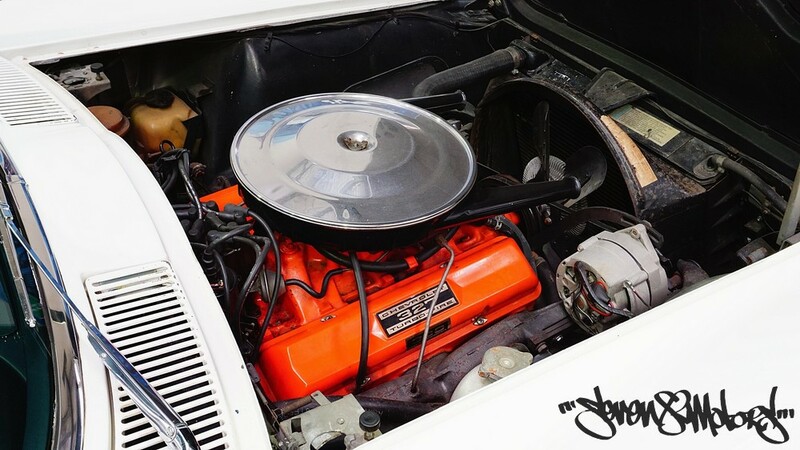 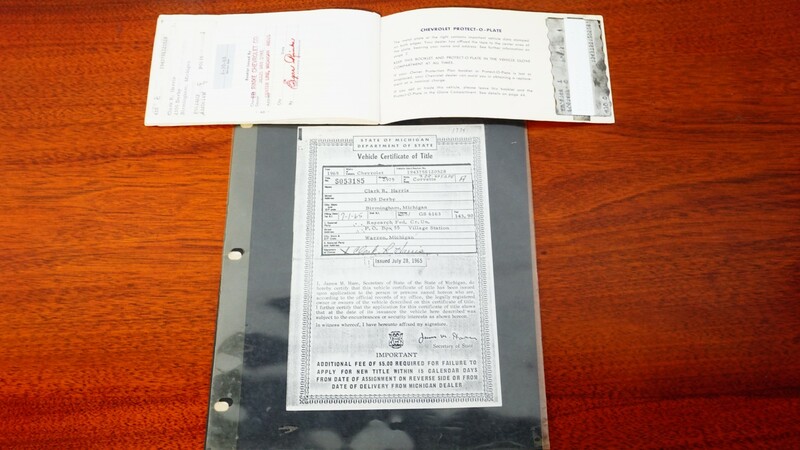 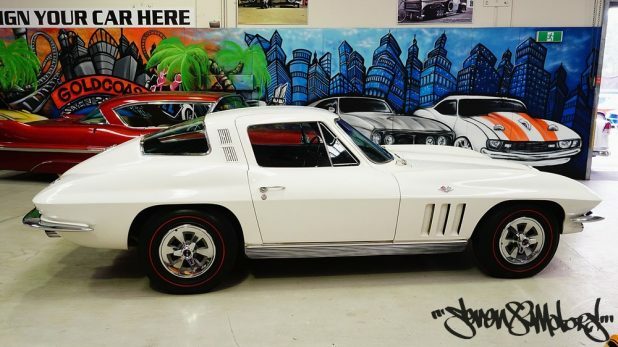 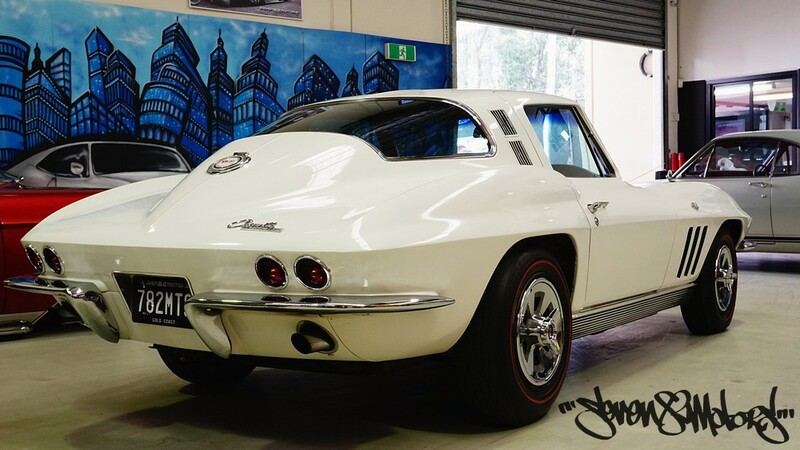 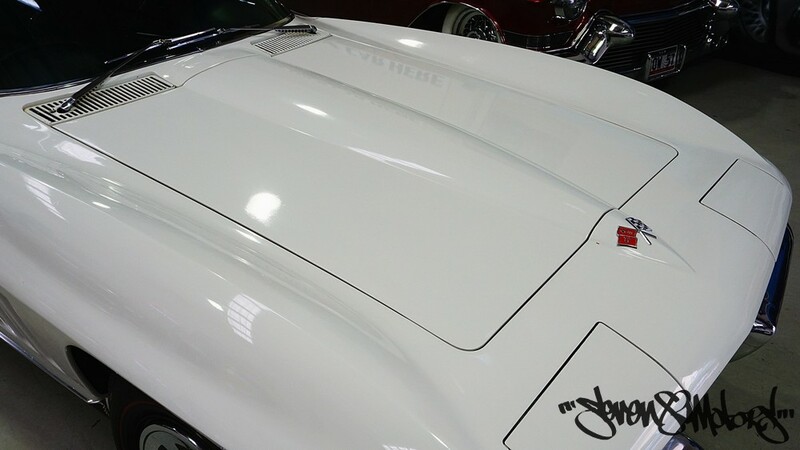 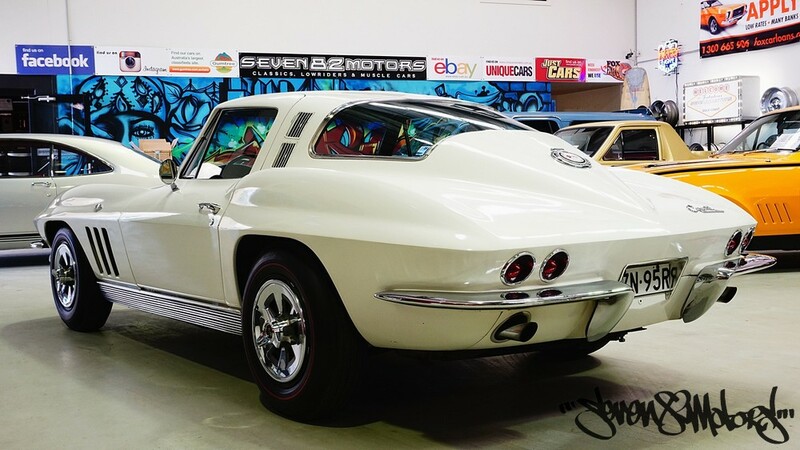 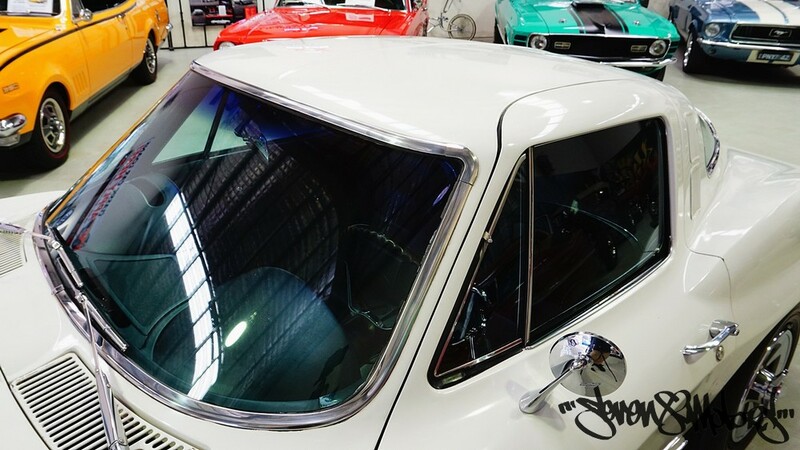 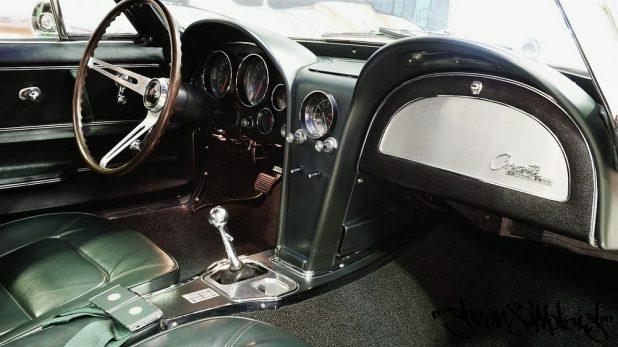 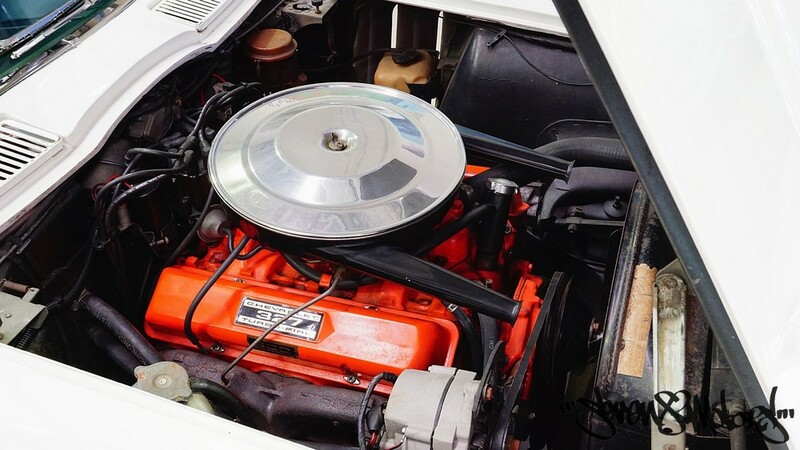 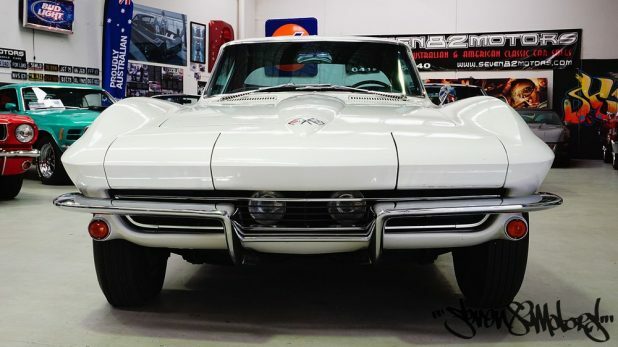 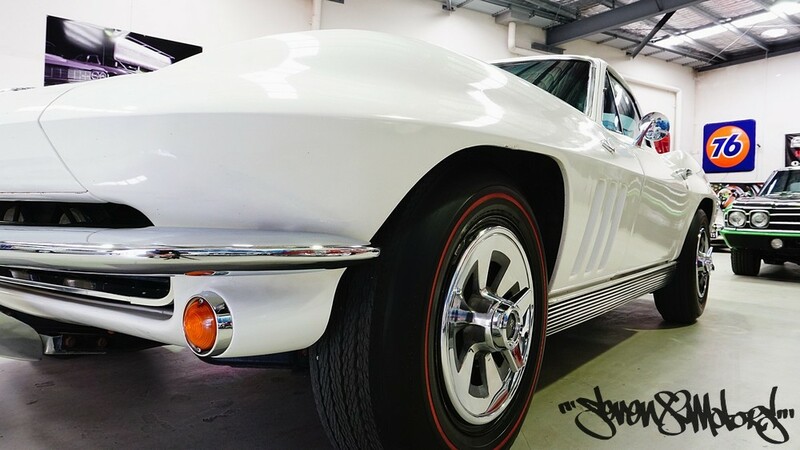 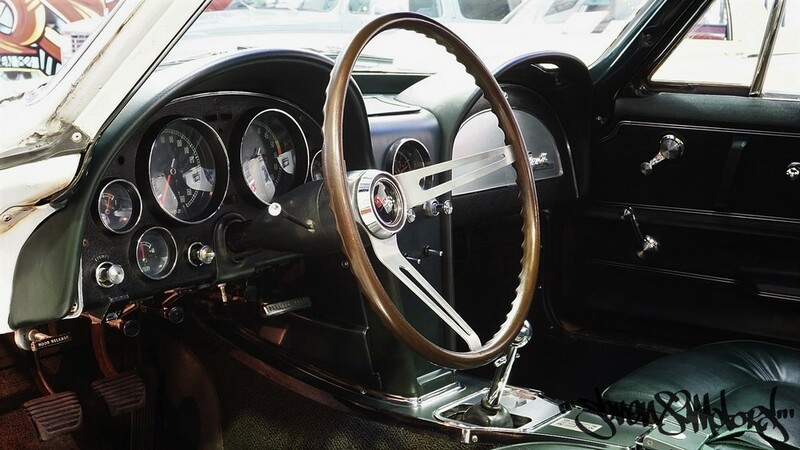 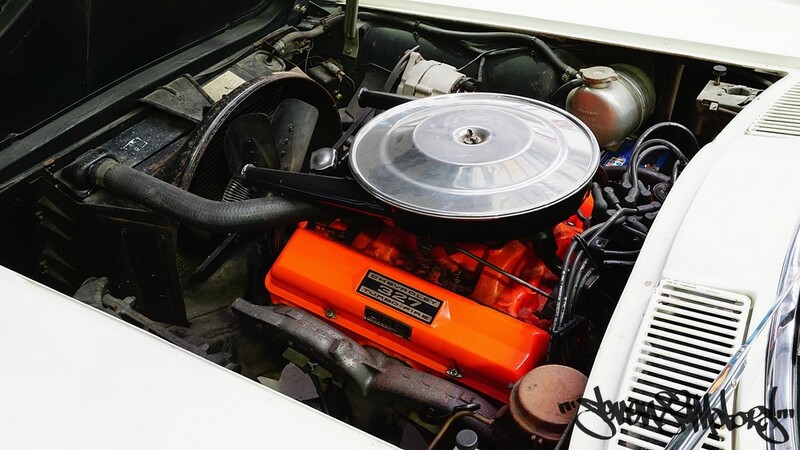 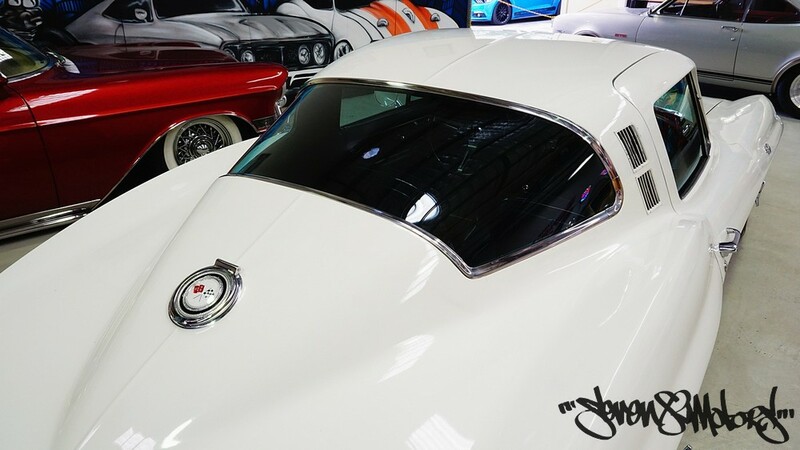 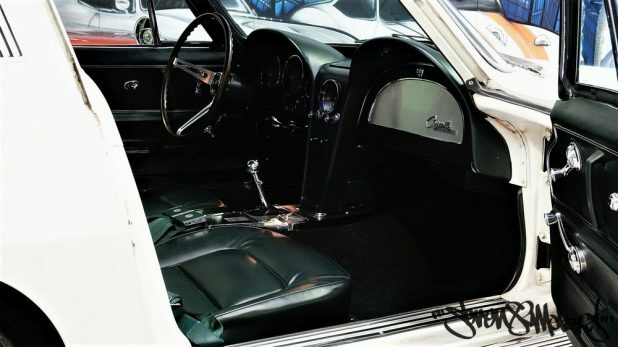 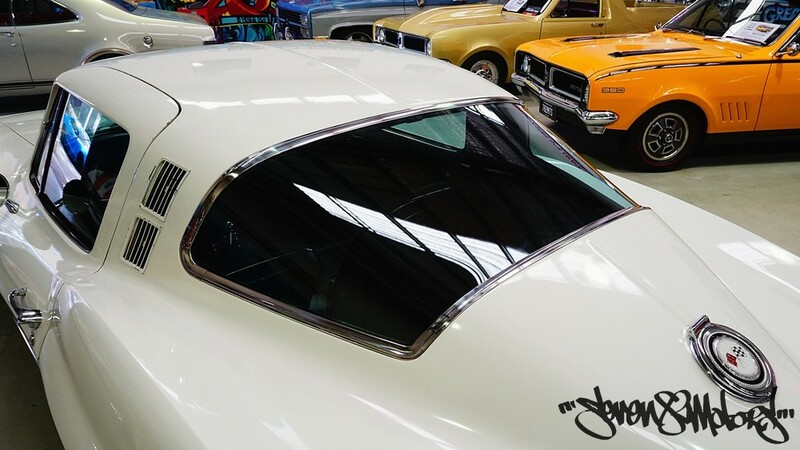 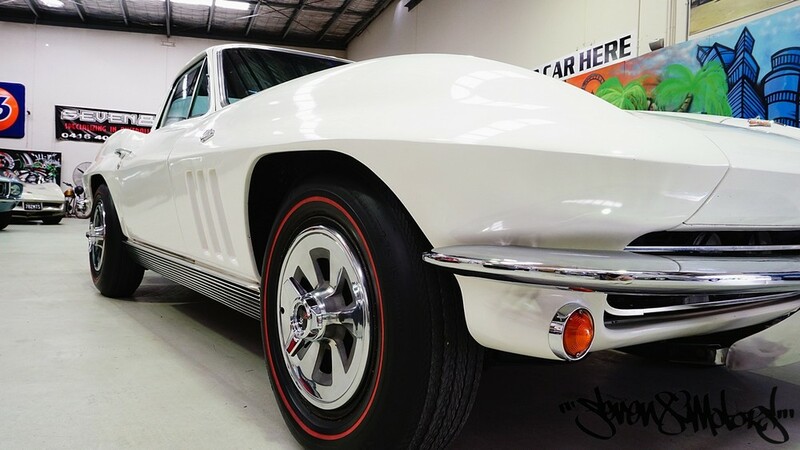 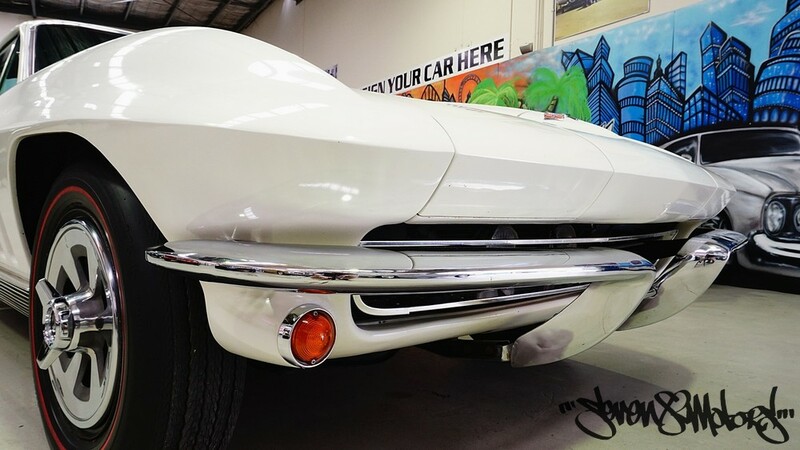 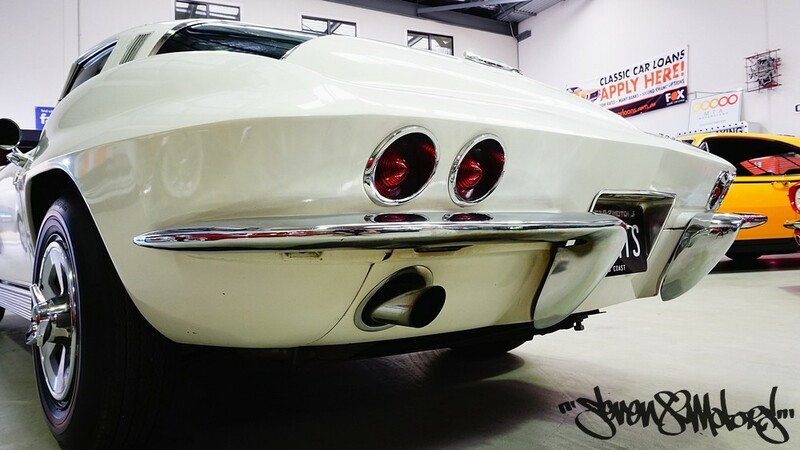 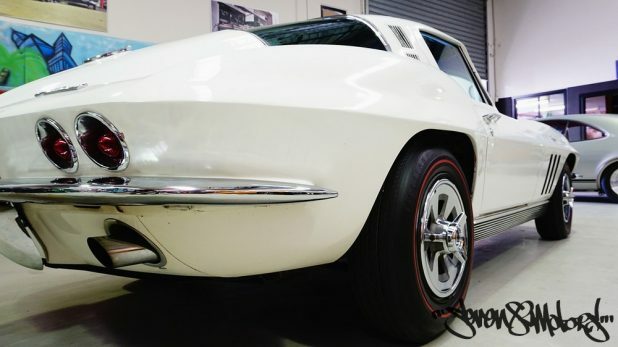 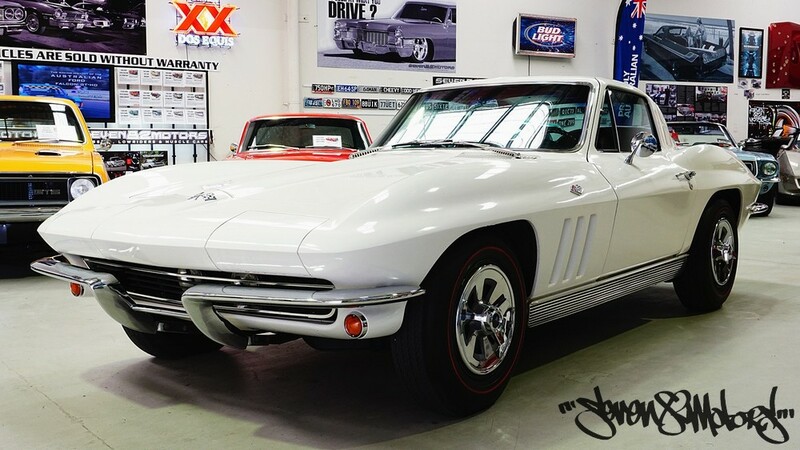 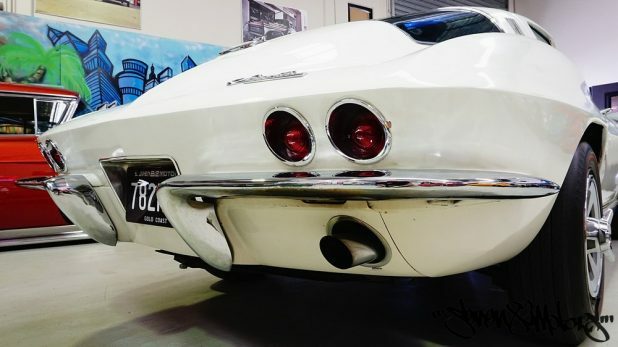 An amazing opportunity to own a genuine mid 60’s Stingray with great documentation. 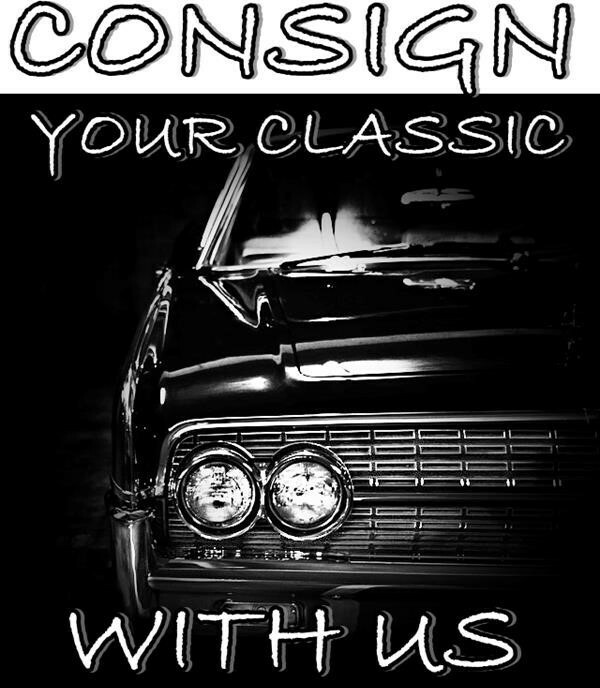 PLEASE NOTE: This vehicle is being sold on consignment, there is no cooling off period or warranty on consignment vehicles and all vehicles are sold without registration unless otherwise stated.